According to Thai Immigration authorities, there are 100,000 Russian residents in Thailand, 60,000 of which live in Pattaya. 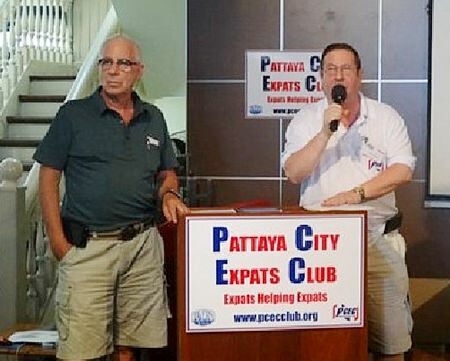 This was a statistic shared with the Pattaya City Expats Club by Victor Kriventsov, at the PCEC’s Sunday May 25, meeting. 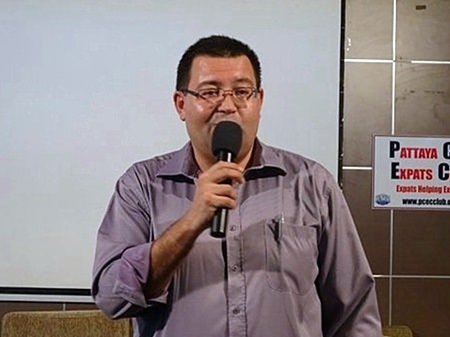 Victor, in addition to being Director of Sales and Marketing at the Royal Cliff Beach Resort and Pattaya Exhibition and Convention Hall (PEACH) is also the Deputy Honorary Consul of the Russian Federation (for the provinces of Chonburi and Rayong). King Rama V visited Russia during his European tour. He is seen here with Tsar Nicholas II. Victor gave a very enlightening and informative talk. He covered the history of Russian and Thai relations, how Russian culture is the reason for the way Russian tourists act when visiting Thailand, and the Russian community in Pattaya. PCEC Chair Pat Koester presents a certificate of appreciation to Victor Kriventsov for his interesting and informative talk to the PCEC. Victor said that Russians have been coming to Thailand for over two hundred years, along side Americans, Europeans and Australians. The first Russian ship to dock in Thailand arrived in 1863. Russia was one of the few world powers (along with Germany) that did not establish a formal presence in Southeast Asia. He explained that King Rama V made an effort to strike a balance among the super powers. 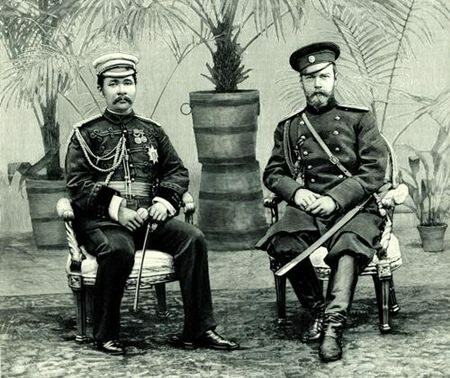 Further, Rama V’s son graduated from a prestigious military academy in Russia which may be the reason Thai ceremonial military uniforms resemble the Russian ones of the Tsar’s Guards regiments. Also, he mentioned that a Russian composer wrote the music for the previous Thai national anthem (now the Royal anthem) and that King Rama V visited St. Petersburg on his European tour. Additionally, the colours of the Thai flag are the same as those of the Russian flag; some people believe that the three colours symbolise the same things in both countries: red = people; white = religion; and blue = monarchy. Victor Kriventsov, Deputy Honorary Consul of the Russian Federation (for the provinces of Chonburi and Rayong), tells members and guests of the PCEC about the history of Russian relations with Thailand, Russian culture, and the Russian community in Pattaya. Before 1917, Thai-Russian ties were quite close. There was a Russian embassy in Thailand. The Russian fleet came here in 1898, and a permanent Russian diplomatic mission was established here. That changed with the 1917 revolution in Russia. Between 1918 and 1941, there was no diplomatic relations between the two countries. In 1941, the first moves were made to re-establish relations, but because of Thailand’s relationship during the period with Japan, it wasn’t till 1947 before the Soviet Embassy opened in Bangkok. PCEC Member David Garmaise advises members about the upcoming Annual General Meeting in July and procedures for submitting nominations for the Board of Governors. Victor said that Russian tourists started to come to Thailand in large numbers in the 1990s after the break-up of the Soviet Union. The first charter plane from Russia arrived at U-Tapao Airport in 1992. At first, there were a few thousand visitors a year from Russia. The numbers began to increase when Russia and Thailand signed a bilateral agreement calling for visa-free travel between the two countries for periods of up to 30 days. There are currently an estimated 1.7 million visitors a year from Russia and 100,000 Russians residing in Thailand with 60,000 being in the Pattaya community. He mentioned that to serve this community, there are now seven Russian Orthodox churches in Pattaya; an 8th one is being constructed now. 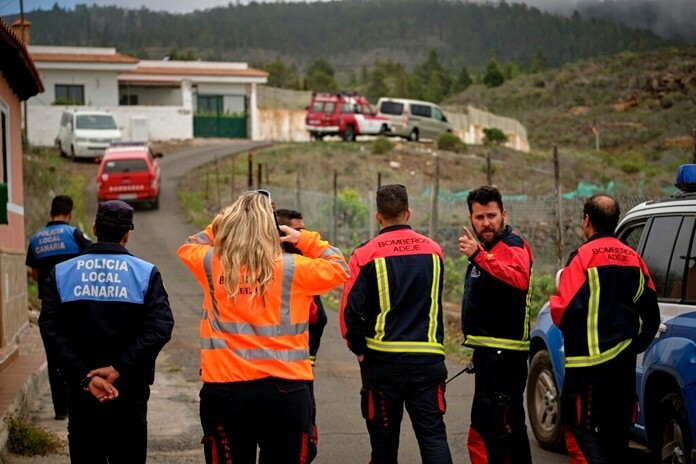 There is also a cemetery and a monastery. There are now about 40 Russian restaurants in Pattaya to serve the tourists and community. Victor said that there are some cultural and linguistic challenges. First, the teaching of foreign languages in Russia – as well as the need for their use – was limited; Russians don’t see a real benefit in learning other languages. Second, Russians have only been travelling abroad for the past 20 years; they are still not really comfortable, so they try to create a Russian environment wherever they live. There is one Russian-language school in Pattaya using the educational standards of the Russian state. It caters primarily to Russian expats working here that intend to return to Russia; thus seeking an education for their children that will allow them to continue their studies in Russian Universities. Victor said that there are stereotypes about the Russians who come to Pattaya. The biggest one is that they are heavy drinkers. In Victor’s opinion, it is more a question of behaviour. Overall, Russians don’t consume that much alcohol. However, they are not accustomed to having “just a drink” as Westerners might do. When they drink, they have a party. Victor said that Russians understand not drinking, and they understand drinking a lot; it’s the part in between that they are not familiar with. Victor said that this behaviour is changing with the new generation, where a wine culture is slowly growing. Only 15% of the Russians in Pattaya are single; the rest are couples and families. Russian visitors tend to favour the tourist attractions that appeal to families. Sixty percent of the visitors to Underwater World are Russians. He also explained why there are so many Russians buying condos in Pattaya. The Russian economy is based on natural resources. Some Russians have lots of money but not much opportunity to invest it in Russia, so they choose to buy property in other countries. The services provided by the Honorary Consulate for Russian citizens are described on their website at: www.royalcliff.com/lng-russian/consulate/consulate.htm. The Russian Embassy also has information on Thai and Russia relations on their website at: http://www.thailand.mid.ru/Win_work/korol_eng.htm. 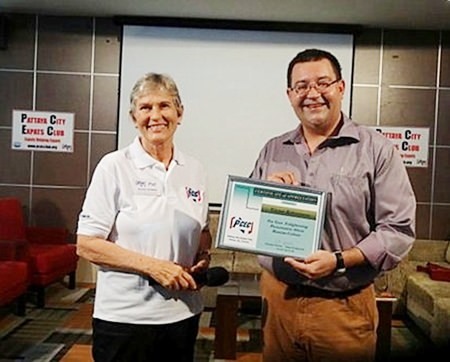 After Victor answered numerous questions from the audience, Master of Ceremonies Richard Silverberg brought everyone up to date on upcoming events and called on Jerry Dean to conduct the always informative Open Forum where questions are asked and answered about Expat living in Thailand, especially Pattaya. 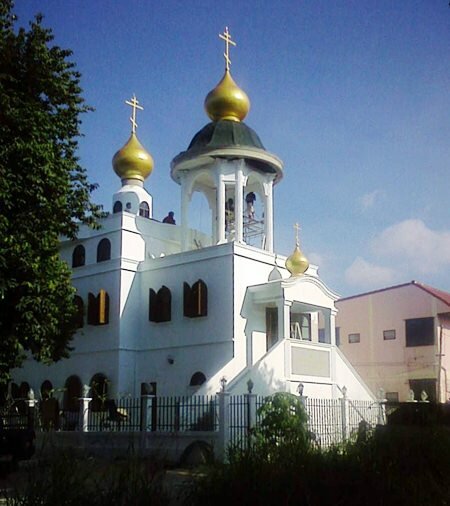 All Saints is one of 7 Orthodox churches serving the Russian Community in Pattaya.